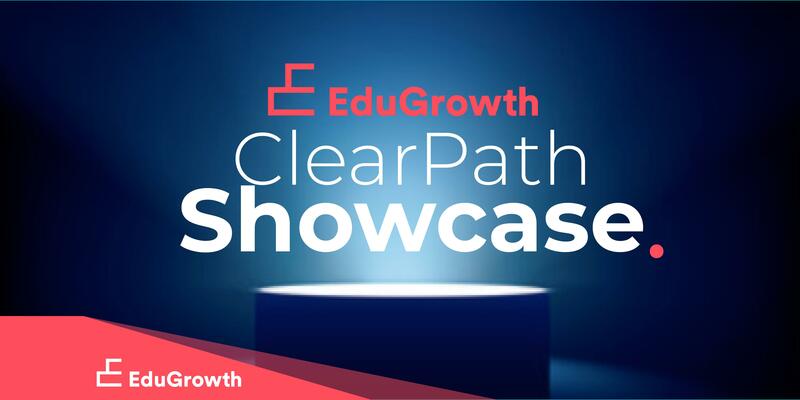 The ClearPath showcase event will demonstrate six deployment ready products to education providers considering new technologies for their institution. This event moves beyond simple pitches to in-depth conversation between EdTech companies and the prospective customers they seek to serve. Showcased EdTech companies will be required to meet certain criteria including traction, having at least one university customer, the ability to support a deployment across a large cohort, a clear pricing structure and a previous pilot or pilot framework ready. The program includes a keynote address TBC. Join an audience of leading educators, sector executives and investors. Including representatives from universities involved with teaching and learning, connecting students with authentic learning experience and international student recruitment. If you would like to apply to showcase at this event, please refer to our website application page for participation information. EduGrowth is Australia’s education technology and innovation industry hub. Through connection and collaboration, we accelerate Australia’s EdTech ecosystem globally. Join EduGrowth today to access a range of events, programs and services designed to help you grow your EdTech business. Complete a membership application form via our website.